Holly is a native of Spartanburg, SC. She received her BS in Special Education from Lander University in Greenwood, SC. She taught for six years in the public school system. In addition to her teaching experience, she has served in several churches over the past twelve years. 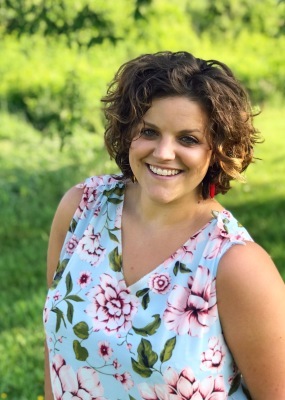 Her experience includes Pastoral Intern at Morningside Baptist Church in Spartanburg, Assistant Worship Leader at First Presbyterian of Spartanburg, SC, and Contemporary Worship Leader at North Avenue Presbyterian, in the midtown district of Atlanta, GA. Holly’s favorite saying is “Love God, Love Others.” She has a passion for sharing God’s word and developing relationships with God through the study of scripture, music, and community. Holly is married to Robert, and they have three children: Jacob (9), Hattie (5), and Trace (3). They relocated to Boone in December 2017 when her husband accepted the position of Youth and College Director at First Presbyterian Boone. In her spare time, Holly enjoys cheering on her Clemson Tigers and Atlanta Falcons. She also enjoys engaging in her favorite hobbies which include playing the piano, woodworking, painting, swimming, and spending time with her family. What she loves most about winter in the High Country? Watching my children play in the snow! Probably Sweet Tarts - the ones you can only find at Easter time. If I can't have those, I love Snickers bars.